Looking for something bewitching to do to your nails this Halloween? I don’t know if I can help you get actual witchy nails, but I can share one of the coolest nail polish collaboration ideas ever. 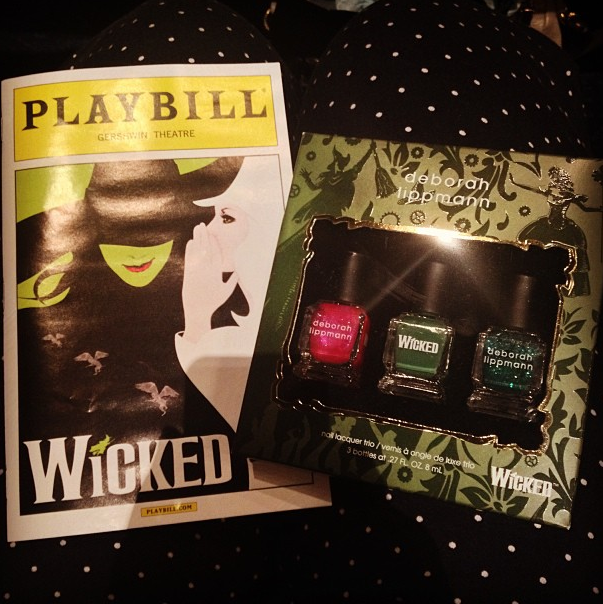 Nail guru Deborah Lippmann was inspired by the hit Broadway musical Wicked, and she created three totally awesome new shades. The great news is that they’re all sold together in one set, so you don’t even have to pick a favorite! The nail polish trio is sold at Sephora. The shades are adorably titled “Defying Gravity,” “Popular,” and “One Short Day,” — all awesome songs that are featured in the musical. Elphaba’s green skin color is captured perfectly by the sparkle-free green shade, but the glimmering emerald lacquer picks up the Wizard of Oz reference!